Respected educationalist Sir Ken Robinson talks to Kate Magee about creative cultures, the state of education and why adland should drop the 'creative' label. When Gillian Lynne was eight years old, her school said she might have a learning disorder because she would not sit still. Her mother took her to see a specialist. During the meeting, the specialist asked to speak to her mother privately, and left Lynne alone in his office with the radio on. The adults watched through the window as Lynne started to move around the room to the music. The specialist turned to her mother and said: "Your daughter isn’t sick. She’s a dancer. Take her to a dance school." She did and Lynne flourished. Lynne became a professional ballerina, choreographer and director, choreographing Cats and Phantom of the Opera, among other shows. She was made a dame in 2014 for services to dance and musical theatre. But someone else might have diagnosed her with ADHD and given her medication. This is a story that Sir Ken Robinson told in his 2006 TED talk "Do schools kill creativity?". It was a powerful, human illustration of his belief that schools around the world are using too narrow a definition of intelligence and, worse, in their obsession with tests, are actually educating children out of being creative. Schools’ drive for conformity is at odds with the rapidly changing world, where being flexible, curious and creative are more important qualities than ever. Engendering these qualities in future generations matters to adland and the wider creative industries because they rely on a steady stream of diverse thinkers who can creatively solve business problems. Robinson’s talk, delivered with his quiet wit and charm, made waves. A decade on, it is still the most popular TED talk of all time, last week surpassing 40 million views. Combined with his later talks, he has racked up almost 60 million views without any paid media spend. But as he quips: "I wasn’t invented at TED." Robinson has spent more than 40 years in education, notably leading the UK government’s 1998 inquiry into creativity in the education system and the economy, and was knighted in 2003 for his contribution to the arts. Now, he is sitting with Campaign outside in the sunshine. 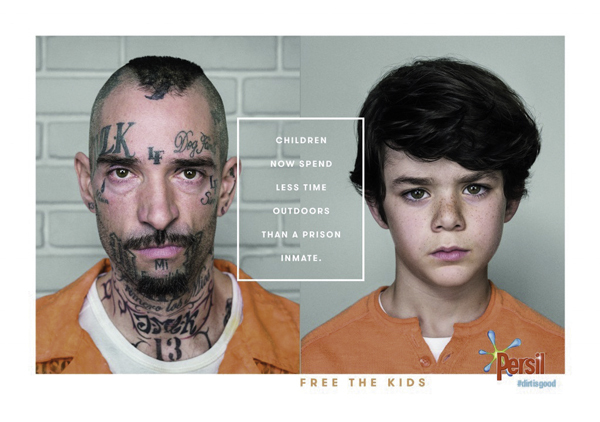 It is a fitting location for his current role as chair of the inter-national advisory panel on Persil’s "Free the kids" campaign, which promotes the importance of outdoor play for children, working with Unilever, PR agency Edelman and creative shop MullenLowe. The campaign’s research found that many children spend under one hour a day outside – less than that of a prisoner in a high-security US prison. It is a cause that fits with his wider view that the prevailing education system needs to fundamentally rethink its priorities to take a more holistic approach to children’s learning. "We are human creatures that live in bodies. It seems a simple thing to point out, but if we all exercise regularly, eat and sleep properly, our sense of vitality and achievement is naturally enhanced," Robinson says. "If you sit kids down day after day indoors at desks, doing what often amounts to low-grade clerical work, then don’t be surprised if they fidget, don’t achieve a great deal and don’t feel very good about themselves." His contention is that education is not just about imparting factual knowledge. It is a broad brief that should encompass cultural understanding, social learning and development of empathy and compassion. The goal should not just be about creating competent workers but rounded individuals. "I’m not promulgating a theory; I know it works. If you have a more dynamic approach to teaching and learning, if you promote links between disciplines, if you set creative questions for kids to explore, if you engage their curiosity, if you nurture their imaginations – they become more fully involved and excited about learning and their achievement levels go up," Robinson explains. "It is a human process, not a mechanical process." These principles apply to the teaching of both the arts and sciences, he adds. 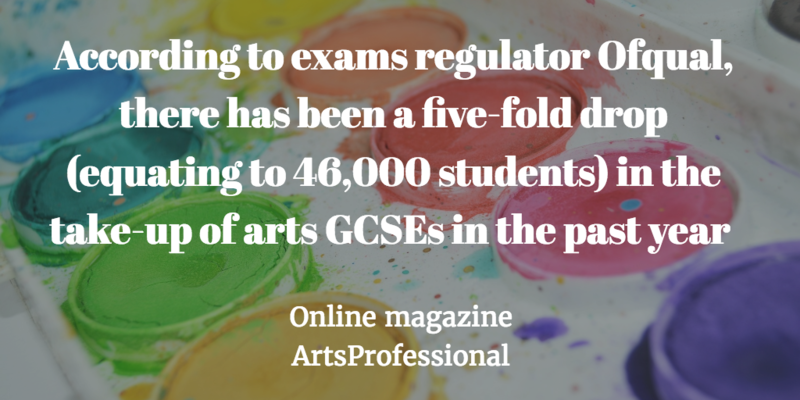 In the UK, it is arts subjects that are coming under threat. A bitter row has recently broken out over the impact of the English Baccalaureate, a performance measure for schools awarded when a pupil secures a C grade or above in GCSE English, maths, history or geography, the sciences and a foreign language. It was introduced in 2010 but was made compulsory for all pupils who started in year seven from September 2015 onwards. The fear is that as schools focus on what they are being measured on, limited resources and attention will be funnelled accordingly, thus squeezing out arts subjects. A petition signed by more than 100,000 people to include arts subjects in the EBacc triggered a parliamentary debate this month. The government claims there has been no negative impact on arts subjects, but a story published by online magazine ArtsProfessional says that, according to exams regulator Ofqual, there has been a five-fold drop (equating to 46,000 students) in the take-up of arts GCSEs in the past year. Design & technology has been the hardest hit. Not only do the arts reach a part of people that other subjects do not, giving all pupils access to these disciplines in school prevents the arts from becoming purely a hobby for the rich. This debate also comes at a time when the creative industries are one of the thriving sectors of the UK economy – something aided by a good arts education. As Sir John Hegarty, founder of Bartle Bogle Hegarty, says: "If you look at the number of people who went to art school, it’s just amazing – right down to [Sir James] Dyson. Out of that atmosphere of challenging thinking came this fantastic industry." He adds: "If our future is thinking creatively, then surely we should be teaching that in schools." There are various industry initiatives already in place to help secure diverse future talent. But adland can go further by explaining the importance of creativity in the education system to the government. Robinson says: "One of the ironies for me is that this emphasis on standardisation education has been promoted often by politicians, in what they believe to be in the interests of the economy. But when you speak to people in business, they are saying something very different. "They want people who can innovate, who can think differently, who can work in teams, who can collaborate, communicate and are quick to respond to change. Well, you don’t get any of those things encouraged or inculcated in a school system that is predicated on testing and standardisation." Of course, the expectation that all children are taught and educated to a similar standard, with equal access to knowledge regardless of background, is a noble one. But, as ever, the problem arises in how it is done in practice. You focus on what you are measured on. And it is far easier to test for factual knowledge than assessing "softer" skills such as emotional intelligence, resilience or creative thinking. It also means there is less incentive for schools to make learning more child-centred. The testing culture has many beneficiaries. One is the exam boards. Another is politicians. As Robinson says: "Political cycles are very short. Elected politicians like to see quick results and they like to have data they can use at the next round of electioneering. If they can point to improvements in certain areas and say ‘Look, we’ve gone up five percentage points’, it looks like progress. But it is not effective." Indeed, the creative industries are seeing the ninth culture secretary in nine years. Education is on its third minister in six years. The law of unintended consequences is a lesson that companies should learn too. If you want a creative culture, you need to actively look at what barriers you are putting up – consciously or otherwise – and remove them, alongside proactively encouraging the creative process. Robinson, who is the author of several books including Out of Our Minds, Finding Your Element and Creative Schools, says: "Something I’ve been keen to argue for a long time is that creativity has to be seen as an operational idea. For example, in education, we’ve long recognised the importance of promoting literacy. We don’t just hope it will happen. We don’t just leave books around and hope someone takes an interest and figures out how to read them. We teach people to do that. There’s a very clear analogy to me with creativity. If you don’t stop to think what creativity is, it’s hard to know how to promote it." He believes organisations should tackle misconceptions that ideas appear serendipitously, that some people are naturally creative and others are not, and that creative aptitude cannot be boosted. He is not suggesting everyone can have equal ability in all fields, but that everyone can improve. Robinson defines creativity as "the process of having original ideas that have value". It differs from imagination, which is the ability to bring to mind things that aren’t present to your senses. "I think of creativity as putting your imagination to work. It’s like the executive wing of imagination. You can be imaginative all day long and never do anything. To be creative, you have to do something," he says. If organisations want to boost their creative output, they need to understand the creative process and give people access to it. Robinson says: "There are plenty of people who are not literate because they have never been taught. It doesn’t mean they are incapable of it – they just don’t know how to do it." Heineken demonstrated this approach two years ago when it introduced a formal programme that enabled staff to have a shared language around creativity, a way to measure it and a clear picture of what "good" looks like. The brand was named Creative Marketer of the Year at the Cannes Lions in 2015. Robinson also believes creativity should be democratised. 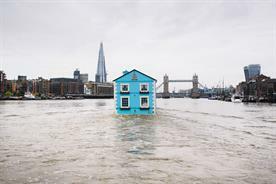 He disagrees with advertising’s convention of labelling certain people – and a department – as creative: "It colonises creativity. I prefer to just say what it is that people do. If they are the campaign designers, call them that. It implies that other areas are not creative. People get locked into their job descriptions." Organisations need to be flexible about where ideas come from. Businesses can be transformed by ideas coming out of other departments, Robinson says. He gives an example of a design agency he worked with in New York, which got staff to teach each other about their roles. As well as improving understanding of different jobs, it created an internal talent market, leading to some switching jobs: "You don’t want to create a situation where there is a sort of caste system, where the creators are over there and are thought to be some special group. Clearly, what they do makes an enormous difference to the company’s success, but they also depend on everyone else doing their job." Organisations that want to foster innovation (which Robinson defines as putting good ideas into practice) also have to be tolerant of failure and encourage risk. When Robinson asked a friend who won the Nobel Prize in Chemistry how many of his experiments failed, the answer was: "About 90% of them." But the friend said failure is not the right word because when you are working on new ideas, what you are discovering is what doesn’t work. Robinson says: "He was right. If you are not prepared to take a risk, then don’t expect innovation." And this goes beyond just words – it needs to be baked into behaviour. "If the dominant culture penalises you formally or informally for deviating from the norm, then you will pick up the message quite quickly," he says. On a personal level, he believes it is also possible to boost an individual’s creative capacities. In order to have ideas, Robinson says: "Recognise that fresh ideas have their origins in keeping your imagination fertile. So do new things. Keep your mind alive. Feed your store of ideas. Open your mind to new possibilities and experiences." And what better way to open your mind than go outside and play. The campaign aims to increase the time children spend playing outdoors by providing advice for parents and schools. Robinson says there are various obstacles to getting children to spend longer outside: "Part of the evidence we’ve got is that a lot of kids would prefer to be indoors playing football on a screen than outdoors playing actual football." But he adds: "What we’re keen to promote is that there is an important need for balance in children’s growth and development." 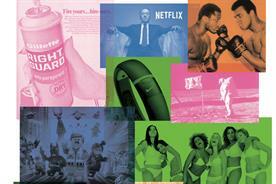 Should adland drop the 'creative' label? 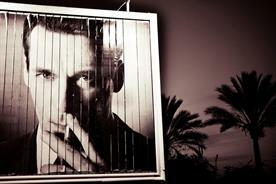 Do marketers want shops led by creatives?